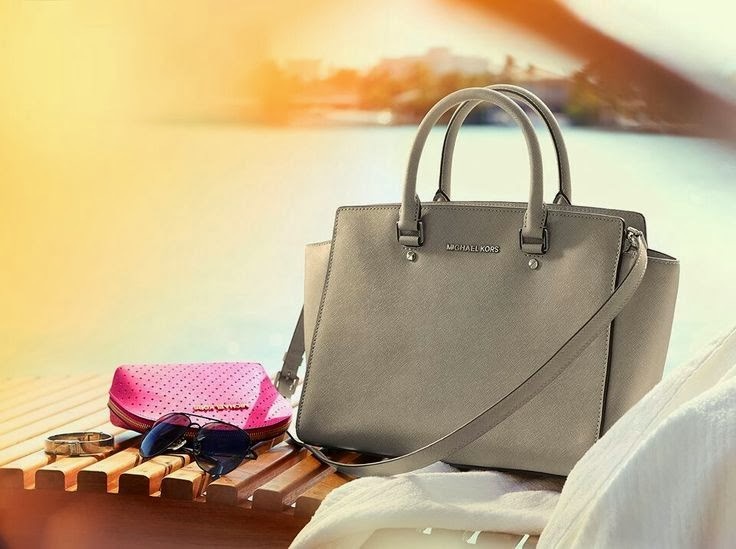 Streamline your everyday style with MICHAEL Michael Kors clean-cut Selma bag. 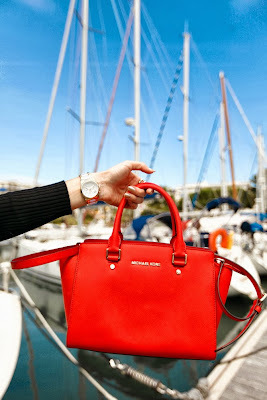 This smartly structured style is crafted from hard-wearing textured Saffiano leather and the sides can be pulled out to create an on-trend trapeze shape. Carry yours in the hand or with the detachable shoulder strap. Michael Kors Selma bag combines the markers of several trendy "it" bags along with numerous functional qualities. 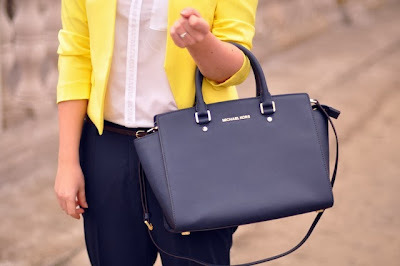 It most notably resembles the Prada Saffiano Tote and the Celine Luggage Tote but has both a useful long shoulder strap (can double as a crossbody strap) and a top zipper which is essential for city dwellers. 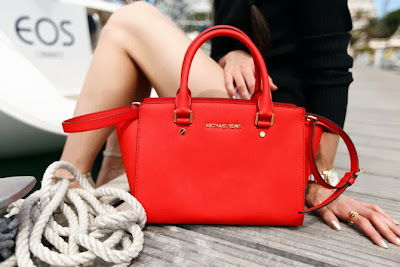 Michael Kors Selma comes in four sizes/shapes at this time and a dozen colors. Each season there are special editions available in various prints. 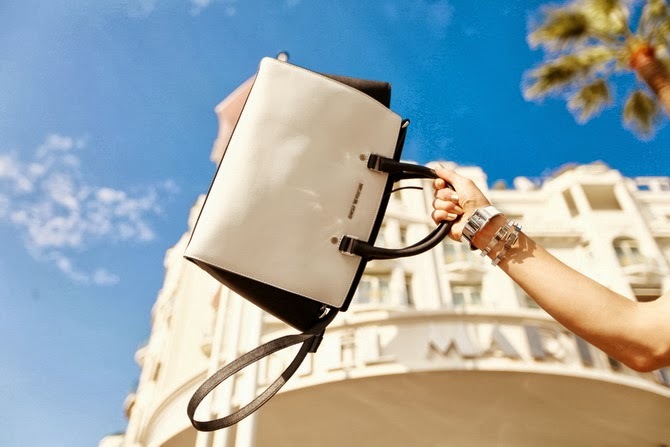 Each season designers is coming out with new shapes for his Selma collection and some of old ones got discontinued. For the current selection please visit the official website. 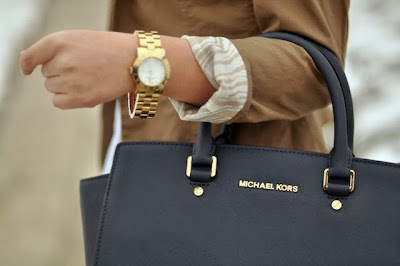 Michael Kors Selma bag is classic, timeless and unassuming. 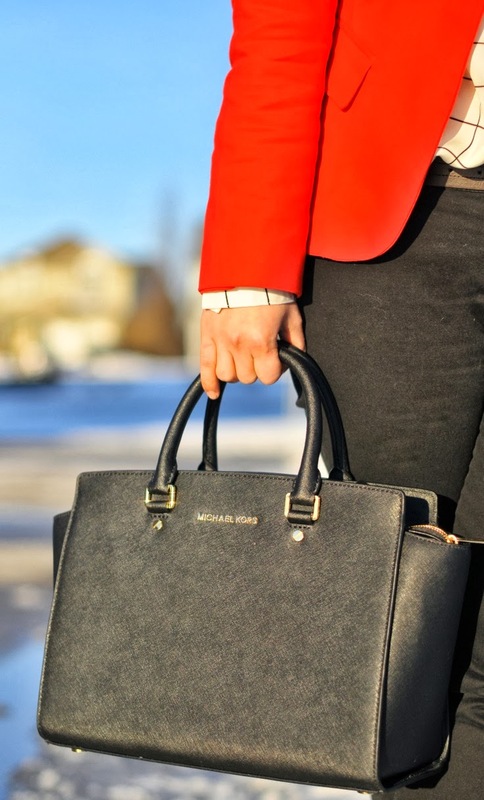 The functional details like a detachable adjustable long strap, trapezoidal body, handheld straps which fold down, metal feet, and a sturdy top zipper make this bag appropriate for different lifestyles. The logo on the front is of a modest size, the stamping on the hardware is negligible, and the monogram lining is on the interior. Wow they are so beautiful!!! The red one Michael Kors bag is my favorite! I also would like get the red one! !